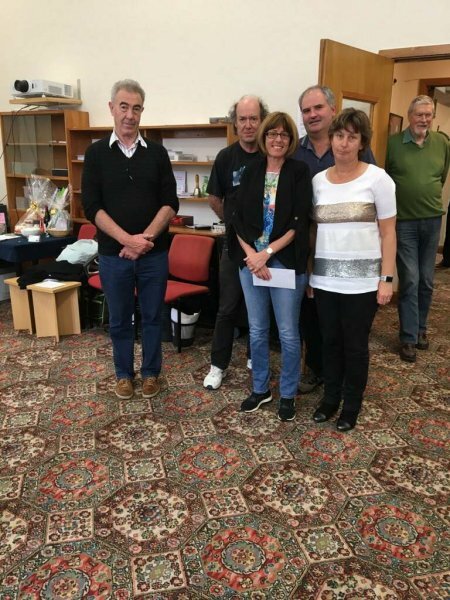 The winners of this year’s National Teams, held this past weekend at the Wellington Bridge Club, were Kathy and Ken Yule from Matamata and Jonathan Westoby and Malcolm Mayer from Auckland. 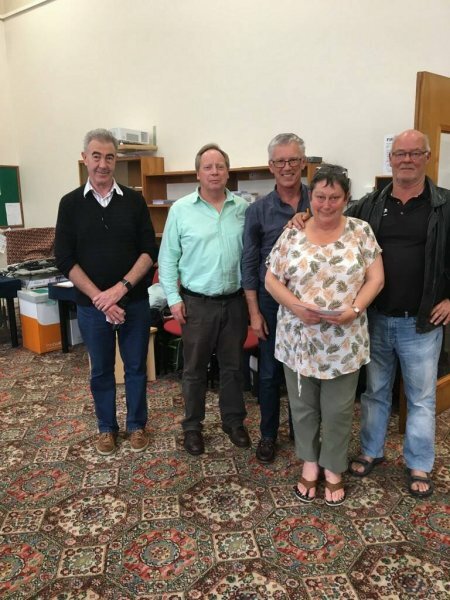 In his victory speech, Jonathan referred to the weekend being very well organized and especially complimented the format of 48 boards per day as being about right for an event of this stature. The format was 8 rounds of 12 board matches. It did seem from the jump to 6 that North could handle a spade lead. Any other suit lead would have defeated the slam…but not a spade! With only one discard available on the heart suit and the spade finesse failing, North, Ken Yule, would have failed in his slam had a spade not been led. 3NT was untroubled in the other room earning 10 imps for Yule. The slam made 4 times and failed just twice. The following board saw Malcolm Mayer at the helm against 3NT. While the defence should have prevailed, Malcolm earned his contract with a couple of good plays mid-game. 1 was 4+ clubs. After his partner’s natural 7-9hcp response, Malcolm was soon in 3NT, receiving the 6 lead. He won the 10 with his jack and got good and bad news when he laid down A. He had 8 tricks now and spent the rest of the board trying to engineer a ninth. He played off 4 rounds of clubs, losing to South’s queen. North had to find 4 discards and chose two cards in each major. South switched to the K and made his first key play by ducking this card, thereby cutting the defence’s communications. South continued a second diamond to Malcolm’s ace. Malcolm played a heart to the ace and cashed his fifth club. North let go their remaining spade to keep Q10, with Malcolm and South also discarding spades. Next came the second key play…a heart to the king and a heart exit. South made sure they would not be end-played by throwing the Q under the K but that left North on lead to play 10 to the jack at trick 13….3NT making. It made at only 5 tables, going down at 7 more. While bridge is certainly a game of mistakes, it still requires good play to take advantage of defensive slips, as demonstrated by Malcolm Mayer above.